KiKi seemed to fit with YuYu. It means new life. She was first seen as a tiny baby on 28 September 2016 with her mother YuYu. KiKi has been seen over 25 times in 2017. KiKi avoided Cruiz that day, but sometime within a month she mated with one of the males. To our great surprise, in early September 2017 we noticed a baby bump! Since then we’ve seen KiKi and baby Kozo a lot. KiKi has a sister, CoCo, and a brother Bobo. 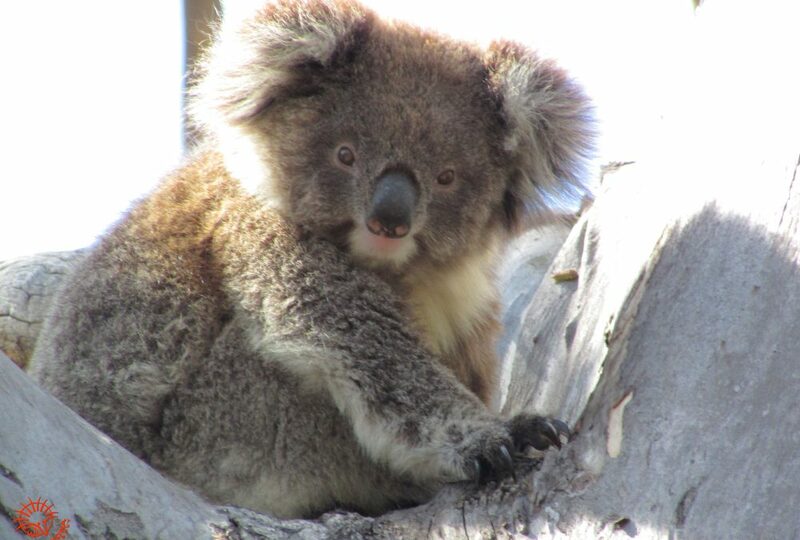 KiKi now lives near Clancy, Ngardang & Lakorra, Niki and males Bungaleenee, Cruiz and Winberry. KiKi is a child star. She first appeared as a baby on Tourism Australia’s facebook page for Wild Koala Day, and her video received 1.1million views.